West worked out for the Buccaneers on Wednesday, Ian Rapoport of NFL Network reports. 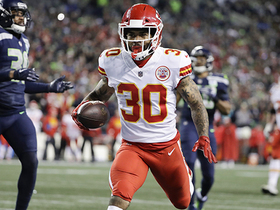 Analysis: West was released by the Chiefs during the preseason, then latched on with the Jets for a brief spell before getting waived at final cuts. Tampa Bay already has Jacquizz Rodgers to handle passing-down work, so the team may just be evaluating options in case an injury replacement is needed down the line. West was released by the Jets on Saturday, Rich Cimini of ESPN.com reports. Analysis: West was released by the Chiefs last week and didn't last long with his new team. The Jets will roll with Trenton Cannon as their No. 3 RB while Elijah McGuire recovers from foot surgery. West rushed five times for 15 yards during Thursday's preseason finale against the Eagles. Analysis: Seeing his first snaps as a member of the Jets, West didn't do much to impress and certainly didn't do enough to guarantee him a roster spot in advance of Week 1. However, the running back still has decent odds of doing so given the health situations of Isaiah Crowell (undisclosed) and Elijah McGuire (foot), not to mention the underwhelming nature of the rest of New York's running back corps. The Jets have signed West, the team's official site reports. Analysis: The running back spent four seasons with the Chiefs before being cut loose Wednesday. The Jets quickly scooped West up to give the team some added backfield depth behind Isaiah Crowell and Bilal Powell, with Elijah McGuire nursing a foot injury. West was released by the Chiefs on Wednesday. Analysis: After missing the first two weeks of the preseason due to a concussion, West was cleared by doctors Tuesday and cut loose a day later. 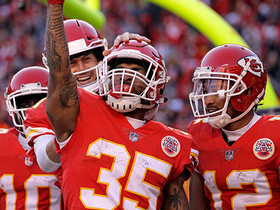 This move suggests the Chiefs are optimistic about Spencer Ware (knee) and Damien Williams (shoulder) being ready for the Week 1 matchup with the Bears. West (concussion) has been given the all clear by doctors and is available for padded practice Tuesday, Brooke Pryor of The Kansas City Star reports. Analysis: West has missed each of the first two preseason contests due to a concussion, but it appears he may be ready to go when the team returns to the gridiron to face the Bears on Saturday. Given the glut of tailbacks among the Chiefs' backup ranks this season, West may need to fight for playing time this fall after serving as the lead backup a season ago. West (concussion) didn't play in Friday's preseason game against the Falcons. Analysis: Despite returning to practice last weekend, West missed out on a chance to make his case for backup work. 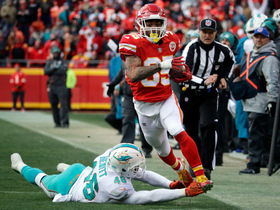 He's competing with Spencer Ware (knee), Damien Williams (shoulder), Kerwynn Williams and Darrel Williams, none of whom had much impact in Friday's game. West (concussion) returned to practice in full pads Saturday, Brooke Pryor of The Kansas City Star reports. Analysis: It looks like West got full medical clearance from the league's protocol given that he is in pads for Saturday's practice. West, who may be in line for a reduced role in 2018 given the depth of Kansas City's backfield, could be eased back into the swing of things to avoid a setback. West (concussion) remained sidelined during Tuesday's practice session, the Kansas City Star reports. Analysis: West is among the candidates to serve as a complementary option to second-year back Kareem Hunt, but he's remained on the sidelines since sustaining the injury July 28. With multiple additions to the position, whether it be by free agency in Damien Williams and Kerwynn Williams, or a return from injury in the case of Spencer Ware, West won't be guaranteed a significant amount of reps in 2018. Missing extended time also doesn't help his case for playing time. 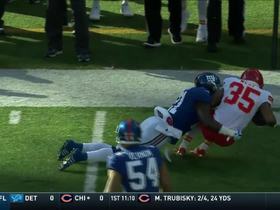 West suffered a concussion Saturday, Nate Taylor of The Athletic Kansas City reports. Analysis: West exited Saturday's practice with a head injury that has since been confirmed as a concussion. The injury means that West will have to miss a few days of practice at a minimum until he's able to clear the concussion protocol. Damien Williams and Kerwynn Williams figure to get the first-team reps while West, Spencer Ware (knee) and Kareem Hunt (hamstring) are out. West left Saturday's practice early to be evaluated for a possible concussion, Nate Taylor of The Athletic Kansas City reports. Analysis: West will have to enter the league's concussion protocol and subsequently be cleared before he can return to action. Given the nature of head injuries in today's football climate, West will likely miss several practices before receiving clearance. As of right now there is no timetable for a return. Kerwynn Williams could be in line to take over for West during his absence. Chiefs coach Andy Reid wants West's teammate Kareem Hunt to take on a larger role in the passing game, Terez A. Paylor of the Kansas City Star reports. West caught two passes for one yard during Saturday's wild-card loss to the Titans. He finished the 2017 regular season with 27 catches for 150 yards and two touchdowns and 18 carries for 72 yards and two scores. Analysis: West was expected to take the lead role for the Chiefs during Week 17 against the Broncos with Kareem Hunt resting, but an illness forced West to miss the contest. He provided minimal impact during the team's lone postseason game, but once again served in his role as a supplemental pass catcher behind Hunt. West remains under contract through 2018, though it remains to be seen how frequently he'll be utilized next season with Spencer Ware (knee) likely returning to the fold. West (illness) practiced in full Tuesday, BJ Kissel of the Chiefs' official sitel reports. 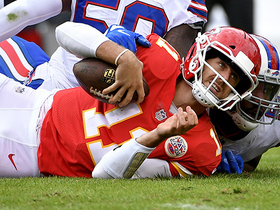 Analysis: West came down with an illness at an inopportune time, sitting out Week 17 in a game Kareem Hunt was supposed to receive a day off. Instead, Akeem Hunt got the call after the other Hunt's early TD run, only to suffer an ankle injury that forced his placement on IR on Tuesday. With West healthy again, he'll act as the direct backup to Kareem Hunt in Saturday's wild-card game against the Titans, but the recently re-signed C.J. Spiller will also be around as a depth RB option. West (illness) was downgraded to out for Sunday's game against the Broncos, BJ Kissel of the Chiefs' official site reports. Analysis: West missed practice Thursday and Friday with the undisclosed illness and was originally listed as questionable. The Chiefs were expected to rest rookie workhorse Kareem Hunt with the team locked in to the AFC's No. 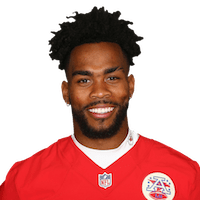 4 playoff seed, but now the only other available running back on the roster is Akeem Hunt. The latter Hunt appears primed for a heavy workload against the Broncos on Sunday, but the Chiefs could also look to make a last-minute roster addition to add some depth to the position. West (illness) is listed as questionable for Sunday's game against the Broncos after missing practice Thursday and Friday. Analysis: Akeem Hunt (shoulder) is also listed as questionable, though we expect both backs to suit up this weekend. With the Chiefs entrenched as the AFC's No. 4 playoff seed, starting running back Kareem Hunt is a candidate to be rested in Week 17, per ESPN's Adam Teicher. As a result, West and Akeem Hunt appear on track to see expanded roles this weekend. Of the two, West (assuming he plays) profiles as the safer fantasy streaming option in Week 17. West was a non-participant at the Chiefs' practice Thursday due to an undisclosed illness, Adam Teicher of ESPN.com reports. 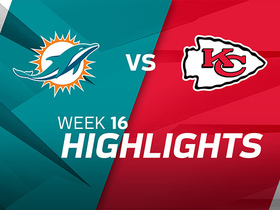 West caught three passes on four targets for 28 yards Sunday against the Dolphins. Analysis: As per usual, Kareem Hunt took on a workhorse role for the Chiefs, carrying the ball 29 times. West didn't receive a tote Sunday, but he added to his contributions in the receiving game out of the backfield. He should continue in that supplemental role in the stretch run and the playoffs, but remains unlikely to be a factor for fantasy purposes. West rushed for six yards on five carries during Saturday's 30-13 win over the Chargers. West (personal) ran three times for 25 yards and a touchdown during Sunday's game against the Raiders. Analysis: West was lightly utilized behind Kareem Hunt, but made the most of his workload by scoring on a nice 13-yard run. After dealing with a death in the family, he appears to be back and ready to go the rest of the way. He should give Hunt breathers again next Sunday against the Chargers. West (personal) rejoined the Chiefs for practice Thursday, Terez A. Paylor of The Kansas City Star reports. 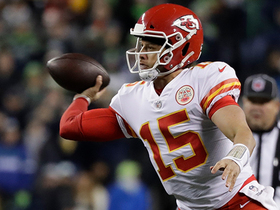 Analysis: West, who missed Sunday's loss to the Jets while tending to the personal matter, looks like he'll be good to go Week 14 against the Raiders after he was excluded from the Chiefs' injury report. While West was sidelined last weekend, Akeem Hunt served as the primary understudy to starting running back Kareem Hunt, logging one carry for two yards and one catch for 20 yards. West (not injury-related) will not play Sunday against the Jets. Analysis: Kareem Hunt will head the Chiefs' Week 13 backfield, with Akeem Hunt in line to serve in a backup/change-of-pace role in Sunday's contest. 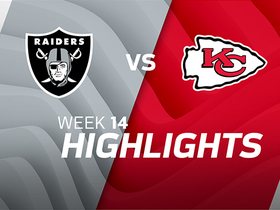 West caught three passes on four targets for seven yards during Sunday's loss to Buffalo. Analysis: West's role as the passing-down back for the Chiefs remains unchanged, with him playing a secondary role to Kareem Hunt once again Sunday. With Kansas City continually falling behind of late, the fourth-year back has seen more action than would be expected. However, a Week 13 matchup with the Jets could be the cure for the Chiefs and potentially a limited run for West. West rushed four times for 15 yards and caught four passes on four targets for nine yards during Sunday's game against the Giants. Analysis: West continues to serve an ancillary role to Kareem Hunt but received a healthy workload for only playing 20 snaps during the contest. It's unlikely he will surpass Hunt on the depth chart anytime soon, but he remains the team's back on two-minute drives and has caught nine passes between the last two contests. West rushed just once for three yards and caught five passes for 30 yards during Sunday's game against the Cowboys. Analysis: West continues to serve in his role as a pass catcher for the Chiefs on drives in which they need to abandon the run. That was the case frequently during the second half Sunday, with the team on the comeback trail most of the game. West may have a lesser role next week against a struggling Giants squad.